The 36" Granite Ball & Claw Medium Sink Chest Dark features a handsome, antique style that brings a regal atmosphere to any bathroom. The rich mahogany finish is enhanced by gold highlights, making this far from your ordinary bathroom vanity. 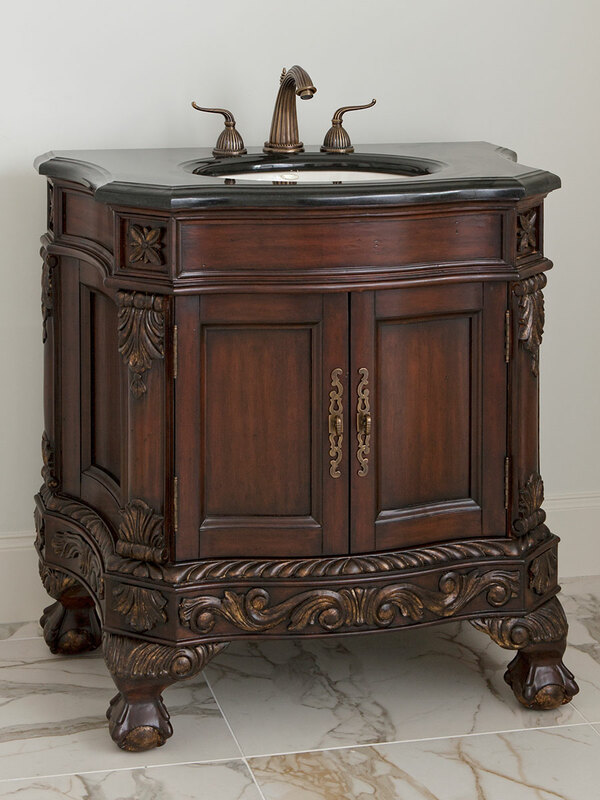 The carved details also give this vanity its eye-catching appeel. The black granite countertop and backsplash provide an excellent complement to the cabinet's rich finish. The double door cupboard provides room for storage and organization. Faucet options available.